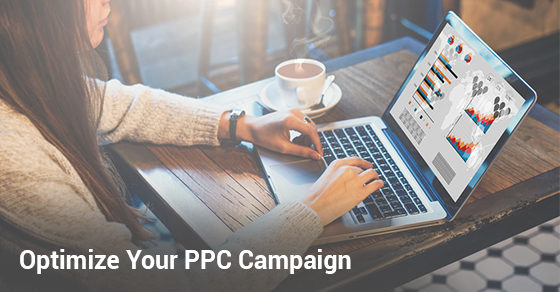 In order to achieve a high ROI on your Pay Per Click (PPC) campaigns, you’ll need to generate high quality leads. Ad optimization tactics will vary for every account. However, there are some general rules to keep in mind to keep your conversions up and your cost-per-lead (CPL) down. Opt for keywords that capture user intent – specifically, long-tail keywords. For example, the search term “mortgage company” has a different intent than “mortgage companies,” wherein the former would be looking to contact a specific company while the latter would likely be in search of reviews. Additionally, be sure to filter out keywords that drive irrelevant clicks. A landing page acts a “pitch” for your products or services. Conversion optimization is a key element of landing page design. Ensure this page is easy to navigate and visually appealing. Stick to a clean design with plenty of white space, and use images to boost engagement. Keep your call-to-action (CTA) and forms above the fold to drive clicks, and write compelling copy that grabs the user’s attention. With so many users on mobile, it’s crucial that your ads and landing pages be seamless across all devices. Make your ad copy short and sweet, and use bid modifiers for mobile campaigns. Use click-to-call and location extensions to attract leads, and ensure your ads are keyword-rich. Effectively communicate about your products or services with Expanded Text Ads (ETAs). These offer a higher character limit, and it’s recommended to use all available characters. Add price extensions to boost conversions and click-through rate (CTR). Make your unique selling proposition clear, and add a countdown feature for deals and special promotions. Data tracking and measuring can provide you with insight into which ads are the most successful, and which require adjustments. This will help you to get the most out of your ad spend. Even more, you can track the number of conversions that resulted from a paid search campaign – allowing you to see which produced the highest ROI. Once you’ve implemented the above tips, It’s recommended to test multiple ads per group in order to see which performs the best. All of these tips will help you to optimize your campaigns to drive leads.